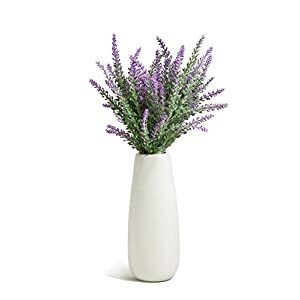 COMFORTABLE VIEWS: Purple lavender flowers create a romantic and classic look that brings elegance and taste to your life. At the same time, the purple bouquet can release people’s pressure, and want to be as beautiful as flowers every day? 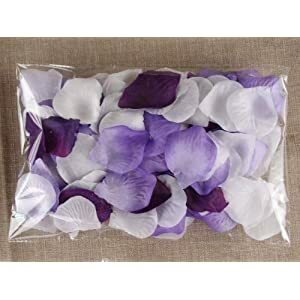 Looking for purple wedding flowers? worth having! Flocking material will make it highly lifelike and realistic presence,it’s a must to touch it to consider it’s faux lavender flower. 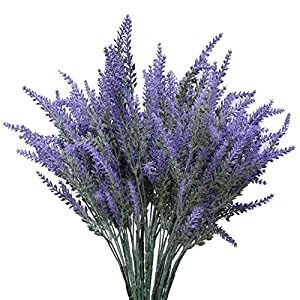 This artificial lavender is made of environmentally friendly plastic,poisonless and harmless,favored by customers. 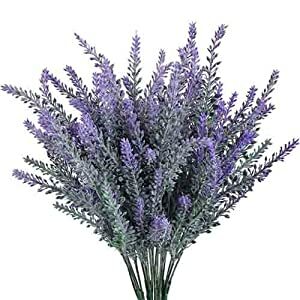 The fake lavender flowers never wither and fall,looks beautiful,vivid realistic and lifelike. 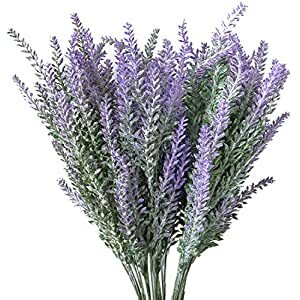 No want to pay too much time on taking good care of them ,Just organize the lavender before you placed them. 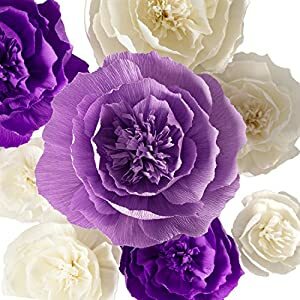 The effect will be obviously match other colors either other flowers. 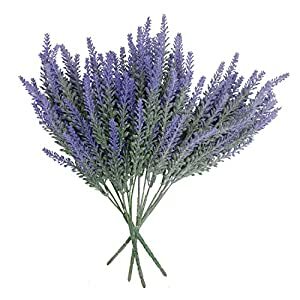 This artificial lavender bouquet is suitable for weddings,bedrooms,offices,valentine’s day,and other place that you need to decorate. 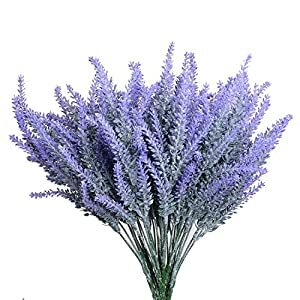 Artificial lavender is perfect for weddings centerpiece flower arrangement, home decorations for table top, front porch to for colorful fresh look. 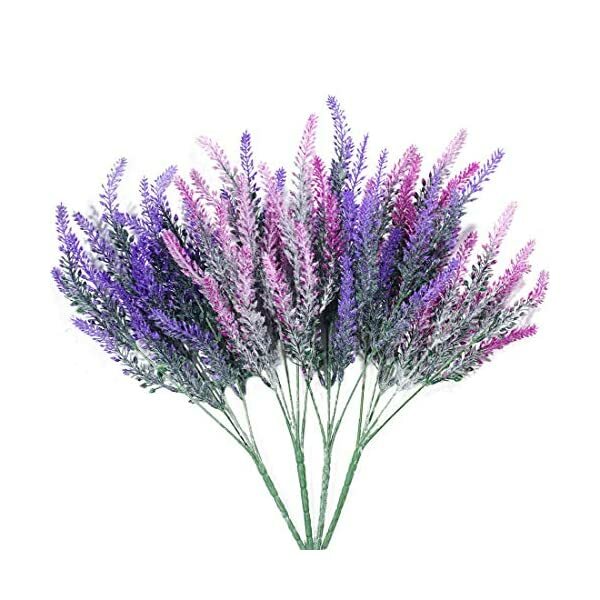 These lavender flowers never wither and fall,looks beautiful,vivid realistic and lifelike. Suitable for weddings,stages,parlours,bedrooms,offices,hotel,dining rooms,birthdays, Valentine’s Day,stores private club and every other place that you need to decorate. Material: Metal Pole + Flocking Plastic. 1.For better showing effect ,Please shaking for a at the same time as to verify the remainder of pollen fall off. 2.Straight the pole ,It could be pressed all through the transportation. 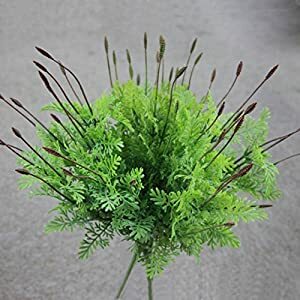 Note:Plastic flowers and leaves, fresh color, poisonless and harmless, It is a flammable material, please cause them to steer clear of candlesticks, candles, incense and other sources of ignition. If any problem, please feel free to contact with us. COMFORTABLE VIEWS: Purple lavender flowers create a romantic and classic look that brings elegance and taste to your life. On the same time, the purple bouquet can release people’s pressure, and need to be as beautiful as flowers each day? 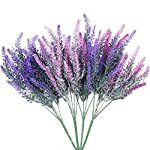 In search of purple wedding flowers? worth having! Quality Assurance: We are all made with real flower contrast science, which is more vivid than other sellers’ products. You do not touch it and you are aware of it is imitation. Customer satisfaction is all the time our belief. If in case you have any questions, please contact us in time and we will be able to provide you with a satisfactory answer.